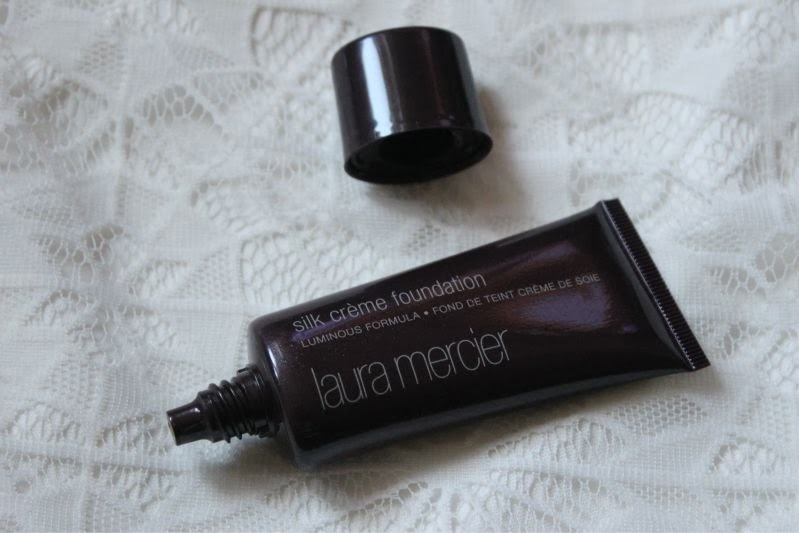 I've read countless reviews on Laura Mercier Silk Creme Foundation and most fail to mention that unless you really and I mean really shake this foundation before use you are left with a watery, separated product that you may mistake for being spoiled (past its sell/use by date). If you are in a hurry in the morning to get out the door this is less than ideal as it can take a few attempts to blend the foundation via shaking before application. Yes this does seem terribly nit picky to note down but I felt it was worth mentioning none the less. 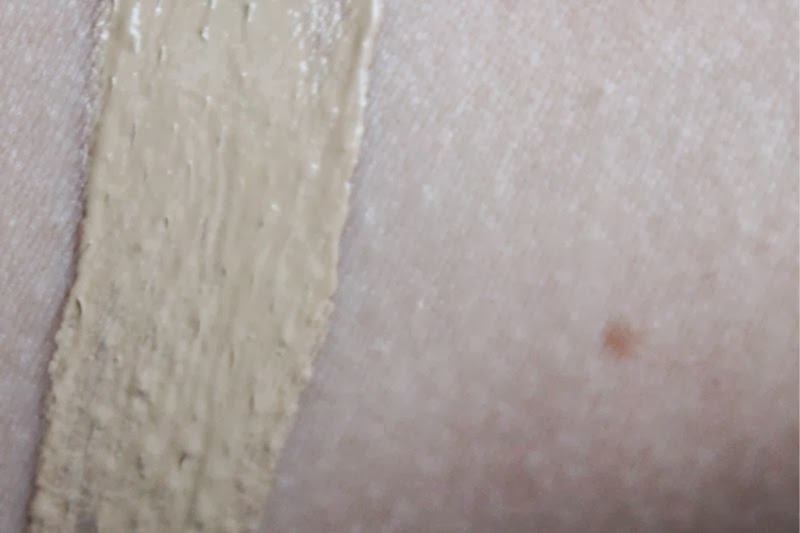 Now on to the formula which is great - light yet creamy that glides on to the skin without feeling tacky, buildable coverage (so much so I don't bother with concealer on blemishes if wearing this) that looks light but covers all minor imperfections (redness, scarring etc). For reference I have shade Bamboo Beige which is a great winter shade for me - a cool toned yet yellow based hue that is great for those around the NC30 mark. Despite being what I would deem a moisturising formula it doesn't overwhelm my oily skin and encourage it to produce excess sebum - rather the opposite I would go as far as saying that this foundation has somewhat mattifying qualities. Yes it does offer oil control but it doesn't seem to cling to any dry areas I have due to eczema which is a blessing nor is it overly matte or mask like on the skin. 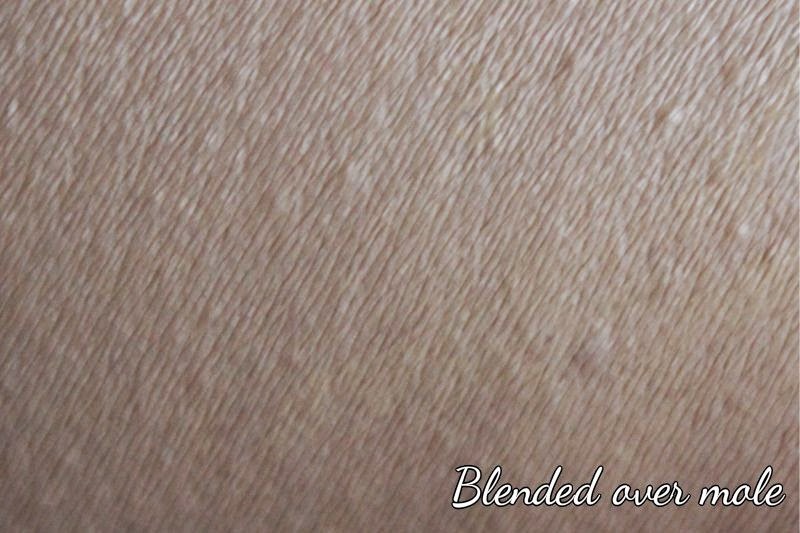 In my opinion the coverage is medium to full depending on how you apply it (for a lighter coverage stipple on with a damp brush, for full use your fingertips or a beauty blender) but natural with somewhat luminous qualities if buffered on to the skin it can give an air brushed effect. 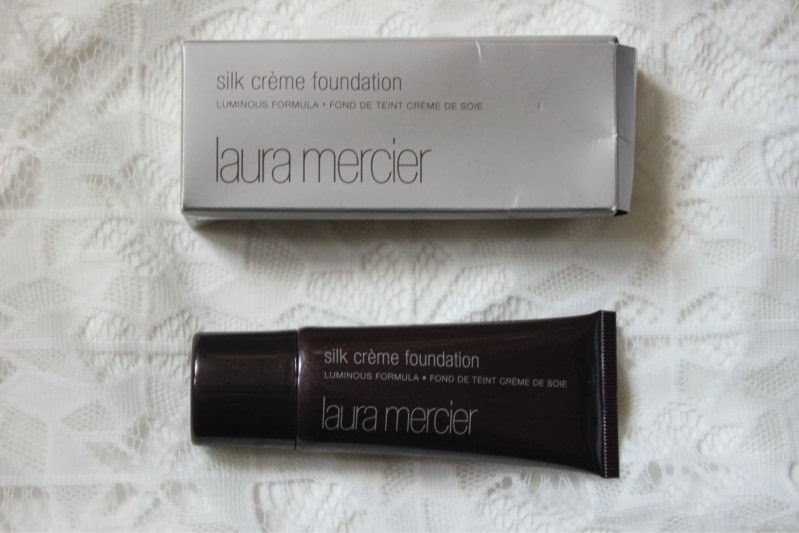 What would tempt me to repurchase this foundation over others is the lasting power - having oily skin means foundation often separates or wears off within 2-3 hours but once set Laura Mercier Silk Crème Foundation goes no-where. A quick dusting of powder and I easily get around 8-9 hours of wear which is down right impressive. 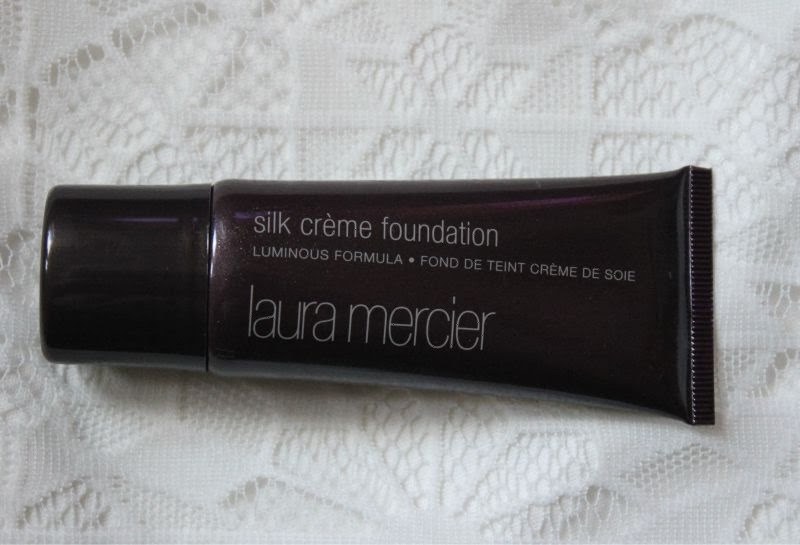 I must warn that a little goes a long, long way with Laura Mercier Silk Crème Foundation. 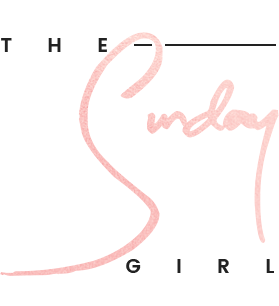 If you are currently struggling with the formula i.e it applying patchy, streaky or feeling heavy on the skin then I suggest using a pea sized amount and either buffing it into the skin (the Real Techniques Buffing Brush is a good call) or of course using a sponge. 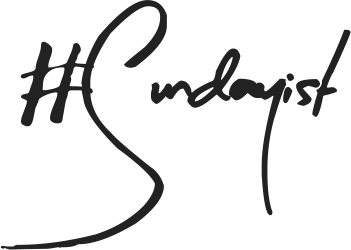 Work it into the skin in light layers, time consuming yes but it is the only way to truly experience what makes this foundation a must have and a firm favourite of many.